Whether you choose the Charles River Apparel Style 3764 Space Dye Performance tee for its performance capabilities or its comfort, it will quickly become the daily standard. It is available for purchase in your choice of: Black, Navy, Royal, and Grey. SKU: CR - 3764 Categories: Activewear, Ladies, T-Shirts, Men's Clothing, Men's Activewear Clothing, Men's T-Shirts, Black, Navy, Royal, Grey Tags: men's activewear, men's clothing, men's t-shirt, men's tee Brands: Charles River Apparel. The Men’s Space Dye Performance Tee is much more than just your average tee. Engineered with your active lifestyle in mind, antimicrobial technology and moisture-wicking polyester keeps you comfortable while raglan sleeves provide you with a full range of mobility. Available for purchase in your choice of: Black, Navy, Royal, and Grey. 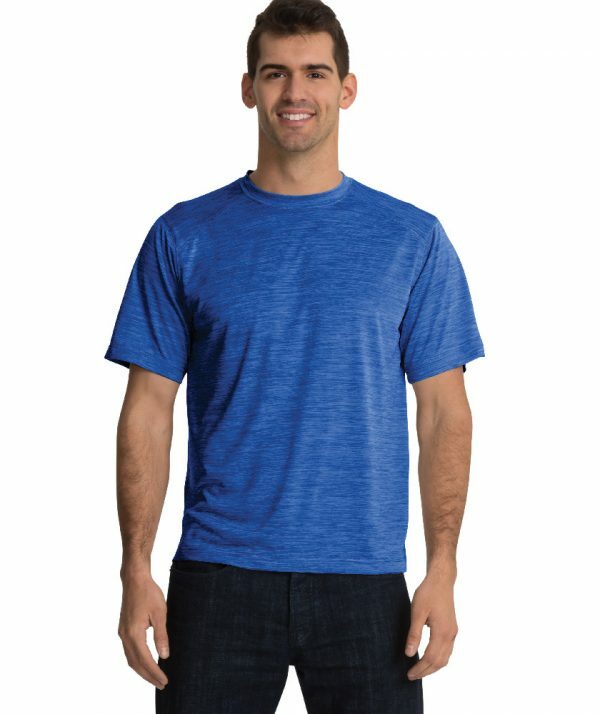 Be the first to review “Charles River Apparel Style 3764 Men’s Space Dye Performance Tee” Click here to cancel reply.